The Amigo Bravo 12 neck is a 250g neck piece matching the Amigo Bravo 12 Turnout. 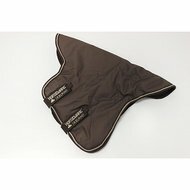 The neck is made of a waterproof and breathable 1200D outer fabric, has a nylon lining and a 250 gram filling. Attach to the blanket by means of Velcro and the metal rings that the blanket has. The neck can also be closed with Velcro. Great fit. Protects the pony well against the cold and the rain. 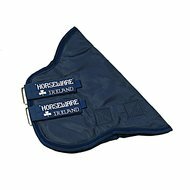 Quality as you expect from Horseware; beautiful, spacious neck of strong material Well waterproof, easy to attach. Qualitative velcro. Indestructible! But beware, it may be that after use the mane will fall out due to suffocation !! Unfortunately this happened to my horse. I only have good experiences with Horseware blankets. Fit and durability are very good. 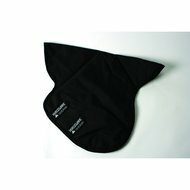 In the meantime, we have completely switched to the Amigo Bravo series and use the blankets with the liner blankets and the neck parts. large = deliciously over 250 gr. = delicious fat never known that a 250 grams of neck piece was available. Question: Can this neck piece also be attached to the Amigo Bravo 12 Plus blanket? Answer: This neck can also be attached to the Amigo Bravo 12 Plus. Question: What size do I need with a height of 1.45m? Question: Is this neck piece waterproof?